The iPad Pro is a fantastic tablet computer, but one needs a compatible stylus for it to live up to its potential. Apple – after famously stating for years that touch-based computers don’t need a stylus – finally gave in in 2015 and released the first generation Apple Pencil, an excellent input device exclusive to its Pro tablets. 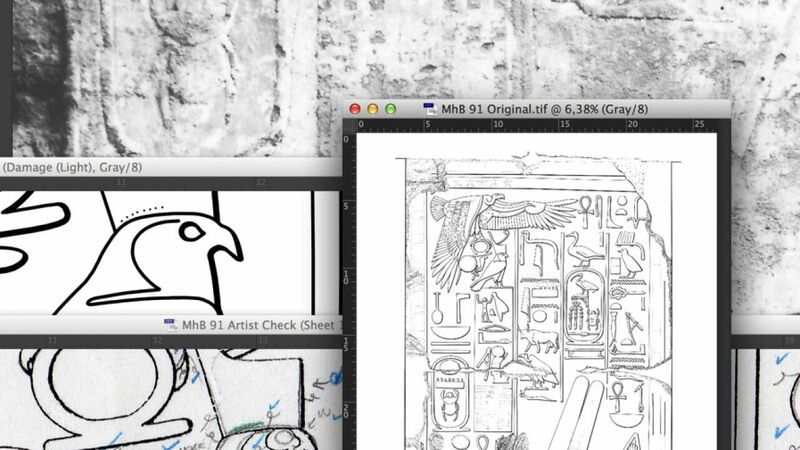 Since its first iteration, we at digitalEPIGRAPHY have been enjoying the unprecedented precision and ease of use that only the Pencil can provide, and – naturally - highly recommend it in our Tool section. 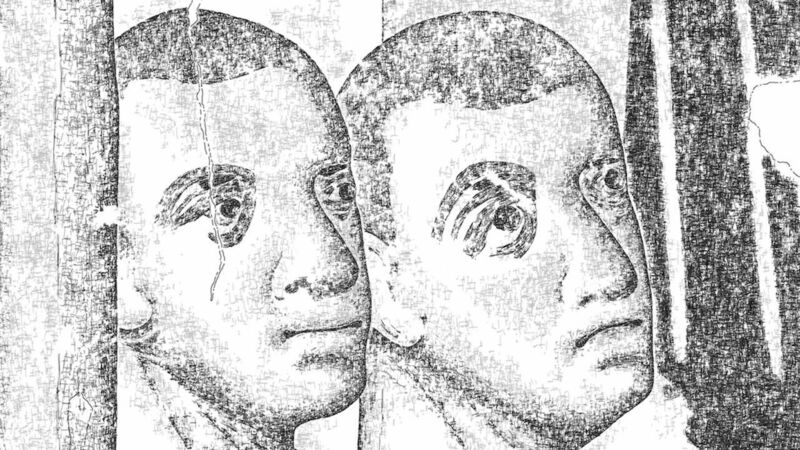 Although Apple’s solution for creative artists does undoubtedly provide a seamless drawing experience, it is not without its flaws. There are three caveats with the original Pencil that might have had you looking for an alternate solution for your artistic needs: its price, its weird ergonomic choices, and its lack of customizable buttons. The first problem was somewhat addressed with the release of the Logitech Crayon, a cheaper Apple Pencil alternative with the same built in technology sans pressure sensitivity and high-end look, hence the more affordable price. The second and third issues were finally addressed in the newly released second iteration of the Pencil, which finally charges by being magnetically attached to the iPad Pro and has a touch sensitive button on the side. Unfortunately, with the release of the new Apple Pencil, another problem arrived: compatibility. Due to the redesigned hardware, the latest Pencil is only compatible with the latest (2018) iPad Pros, and, furthermore, it is even more expensive (at $129) than its predecessor. Nonetheless, we are extremely happy with the improvements and we’ll share our first impressions of the device soon. Although you might expect that with Apple producing its own stylus for the iPad you don’t have to look for alternative solutions anymore, however, a quick search on the Internet will immediately reveal that there are several options offered for creative professionals. Many of these styli are extra-attractive simply by the advantage of not costing as much as the Pencil. We would like to give you a quick roundup of the best styluses available right now, for all iPad users and all budgets, so you can find their strengths and shortcomings before making a decision about your most personal digital drawing item. First, we’d like to share some basic information about how iPad styluses work. The iPad’s touchscreen is capacitive, which means that to register a touch, it needs the kind of electrical input that is provided by your body. A capacitive stylus has an electricity-conducting nib that simulates the charge your finger provides on the screen. But the iPad doesn’t only require a capacitive touch—it also demands a certain size of the touch as well. Therefore, a stylus' nib must be big enough to mimic a finger gesture—usually around 6 to 9 millimeters wide—or to fake it with electrical signals. This is why you’ll find dramatically different third-party styluses on the market. They must either have a rubber, a mesh, a disc, an active-powered fine-tip, or a Bluetooth-powered nib, with the price gradually increasing as you go through these categories. Naturally, The Apple Pencil doesn’t fit into any of the aforementioned options, because it doesn’t have to—it’s made by the same company that created the iPad. And here comes the first question to answer when purchasing a third-party stylus: is it supported by the program you’d want to use it with?! While the Apple Pencil has system-wide access to iOS and support for the Pencil is natively implemented in every iOS app, other devices must have access to specific programs to live up to their full potential. One other issue we must mention upfront is palm-rejection. Because of – thanks to being produced by Apple - the Apple Pencil is recognized as a separate device, it never gets mistaken for a fingertip, therefore one can set it up as a sole input device completely eliminating accidental brushstrokes made by one’s palm resting on the screen. It is needless to emphasize the importance of both criteria when it comes to digital documentation. 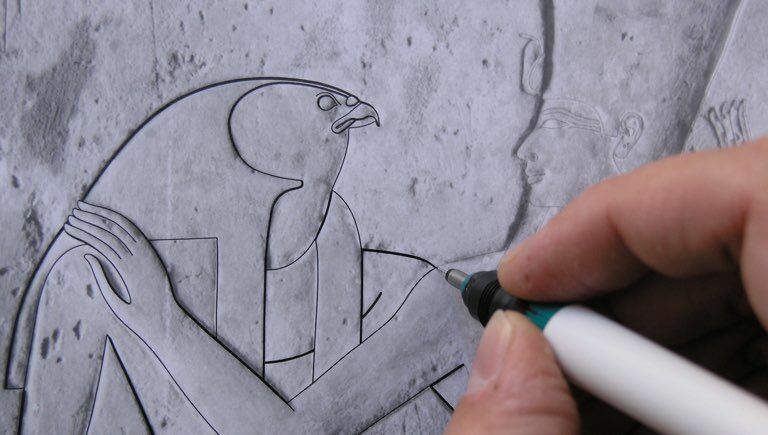 And with that said, let’s see some of the serious contenders that could be used for our epigraphic work (due to the nature of our work we only recommend a few of the fine-tip styluses here). 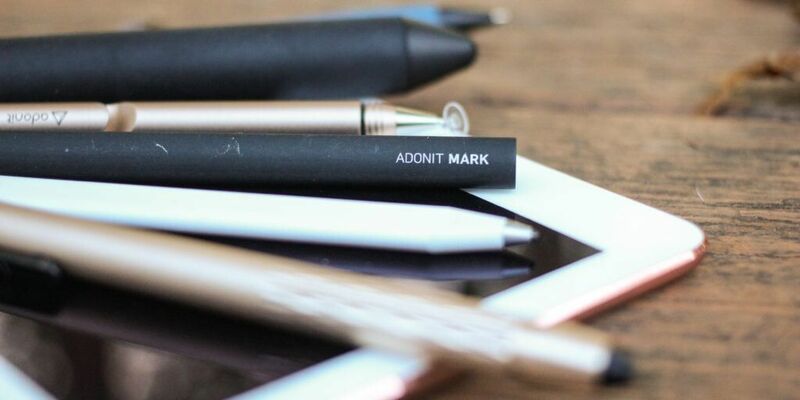 One of the most respected companies creating styluses for the iPad is called Adonit. They state on their website that their bluetooth pressure-sensitive Pixel Pro stylus ($74.99) is the best and most advanced they’ve ever made, but they offer less expensive alternatives as well, like the Dash 3 ($37.35). If you’d like to know the differences between these pens, there is a comprehensive chart included at the bottom of their website. In a nutshell, the Pixel Pro offers tip drag and pressure sensitivity for natural drawing across all latest iPad models. Its 1.9mm tip has impressive response time, and it provides 2,048 levels of sensitivity to create variable strokes when needed for digital penciling. It has excellent palm rejection technology and two side switches that can be programmed to erase, redo and scroll. 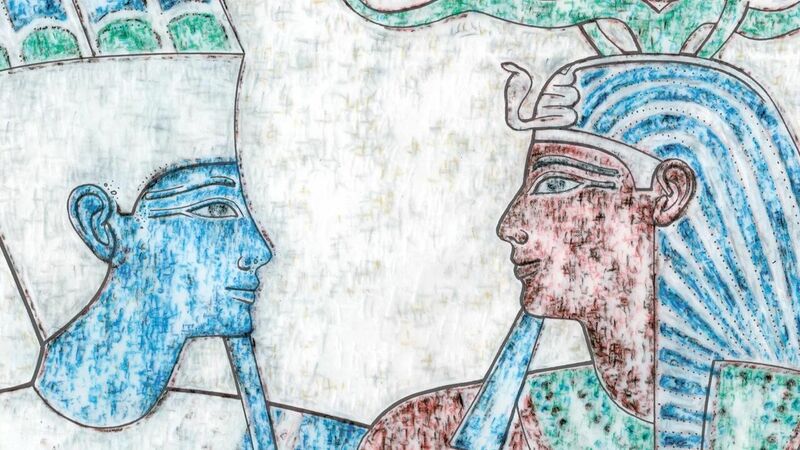 Adonit’s solutions have a wide compatibility with our favorite art programs, but you can check the list of the apps they work with on their above-mentioned comparison site. Longtime tablet leader Wacom has been making rubber and Bluetooth styluses for the iPad for a few years now. 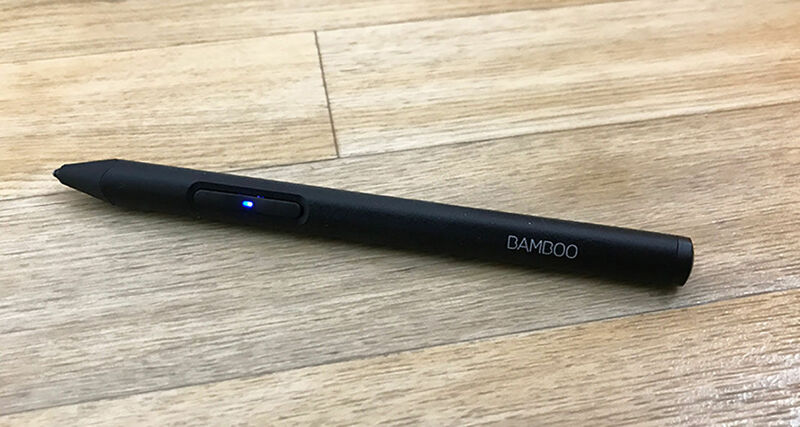 Introduced in 2017, the Bamboo Sketch is Wacom's latest precision stylus designed to work with the iPhone and the iPad over Bluetooth. It's meant to mimic the feel of traditional pen-and-paper writing and drawing with interchangeable pen nibs and customizable shortcut buttons. Unfortunately, using Wacom’s pen on non-iPad Pro devices, their spotty palm rejection is about as good as it gets. Some apps handle it better than others, but it's never going to be perfect unless you start wearing drawing gloves for your drawing sessions. 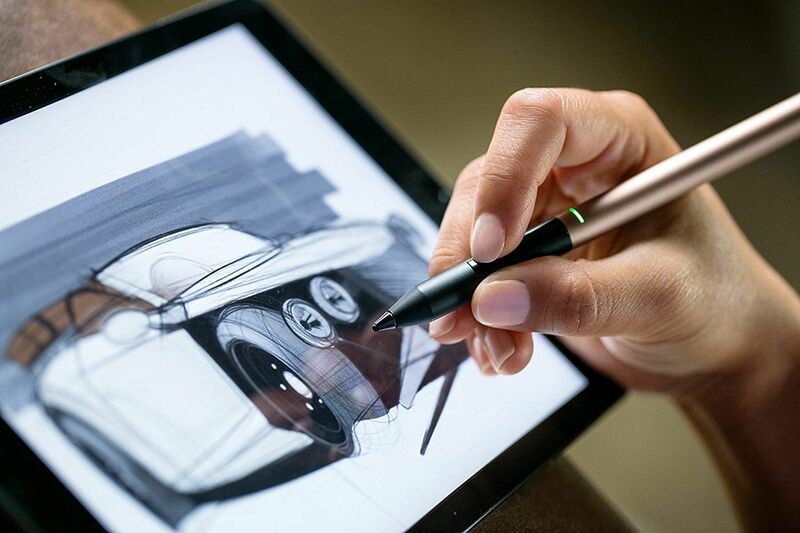 The Bamboo Sketch also has 2,048 levels of pressure sensitivity, which works just as well as the Apple Pencil, however, it can’t compete when it comes to latency. When you draw with the Apple Pencil, the line is right at the tip of the stylus and it stays there as the Pencil moves. In comparison, with the Bamboo Sketch it's offset and noticeably slower at tracking (it's also worth mentioning that it is not able to do the side shading that's possible with the Apple Pencil). That said, the Bamboo Sketch has the same edge over the Apple Pencil as Adonit’s pens - two shortcut buttons. It can be purchased from Wacom’s website ($79.95) or Amazon ($65.99) respectively. These are just two of the more usable examples when it comes to iPad compatible styluses. 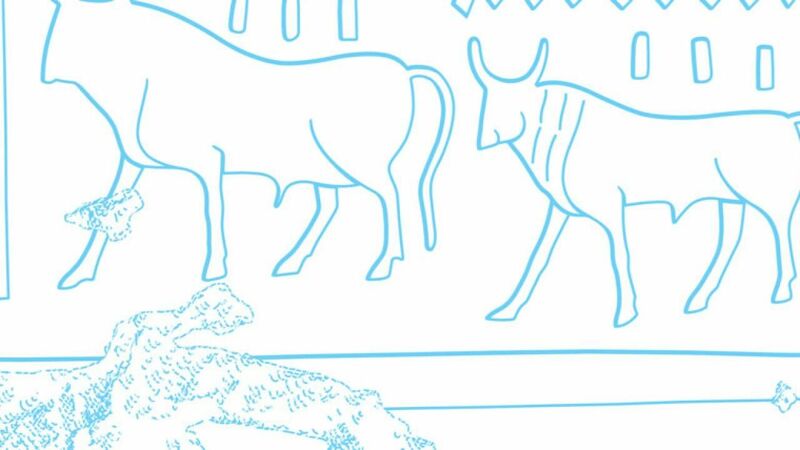 If you’d like to see a much wider selection of drawing tools, digitalEPIGRAPHY recommends reading the following comprehensive article, presented by Wirecutter. 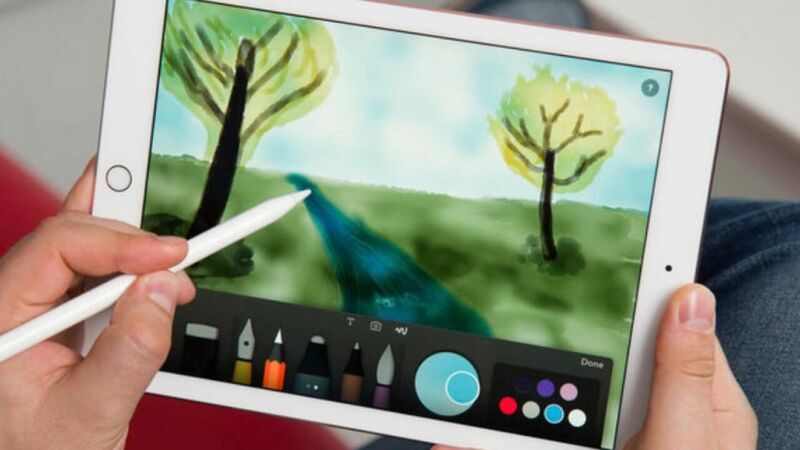 At the end, the Apple Pencil remains the natural choice of stylus for iPad – but only if you own one of the following iPad models that are compatible with it: an iPad Pro or sixth-generation iPad (2018), keeping in mind that the newest Pros (2018) aren’t going to be compatible with the original Pencil. If you do have the Pro and the budget for it, there isn't a better stylus to write and draw with on the market. Not only is it exceptionally comfortable to use, Apple has eliminated many of the issues that can drag down other styluses – such as inadequate palm rejection and clear lag that instantly makes you feel disconnected from what you're producing on the screen. The bottom line is that if you've already invested in an iPad Pro, you'd probably be able to justify the extra expense and go straight for an Apple Pencil. 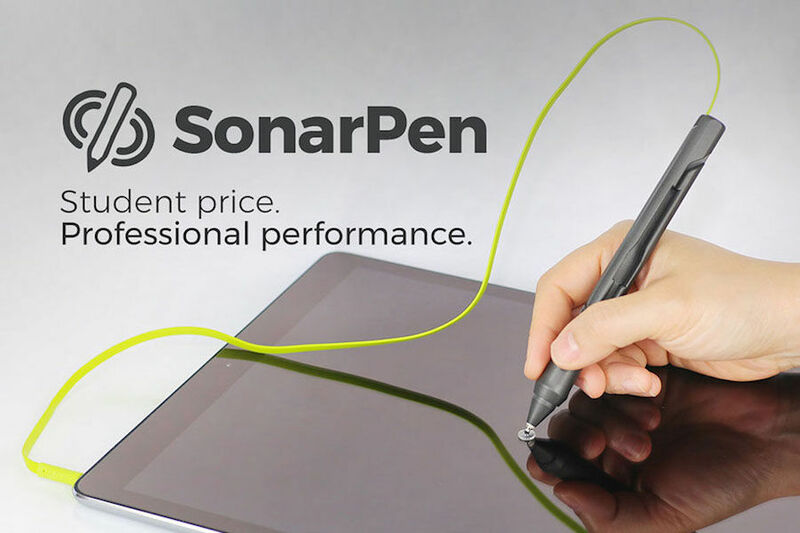 However, if you’d like to work on your regular iPad that you already own, we’d like to draw your attention to one other option that just came to the market, the SonarPen stylus. The SonarPen is a pressure sensitive stylus for iOS and Android devices that plugs into the 3.5mm headphone jack instead of using Bluetooth for pairing. The SonarPen works with all iPads, even with iPhones, and most Android devices that run on Android OS 4.4 and above. If the device doesn’t have a 3.5mm headphone jack, you’ll need to use an adapter like a lightning to 3.5mm adapter, or a USB-C to 3.5mm adapter. It looks like a typical stylus with a disc-style tip, but it has an unconventional flat cable with a 3.5mm plug that is built into the stylus. The stylus' clear plastic disc nib (extra nibs included in the package and more can be purchased from Amazon) can move freely in all directions. Additionally, it has a shortcut button on the barrel, its function is determined by the software that is used with the stylus. SonarPen will work fine with any tablet or smartphone even if it’s not plugged in. It doesn’t have to be charged or paired with the iPad, but you must connect the 3.5mm plug into the headphone jack on your iPad to take advantage of the pressure sensitivity and shortcut button. SonarPen is fully supported only by a handful of apps at the moment (Artstudio Pro is one of them), with more “coming soon” according to the developers. Once the stylus is connected to the iPad and enabled in Artstudio Pro, using it to draw feels just as natural as with the Apple Pencil. The tip glides easily and smoothly across the glass display with no skipping or lagging, which is a pretty big deal in comparison with the above-mentioned Bluetooth styluses. SonarPen also keeps the ink-point directly under the center of the stylus tip with no visible offset. Where the SonarPen shines though is with the pressure level feature, as it makes you feel like you’re truly drawing or painting with a pen or brush on paper. Price is also in favor of the SonarPen, which can be purchased for $34.50 via Amazon - a friction of the sum Apple asks for the Apple Pencil. 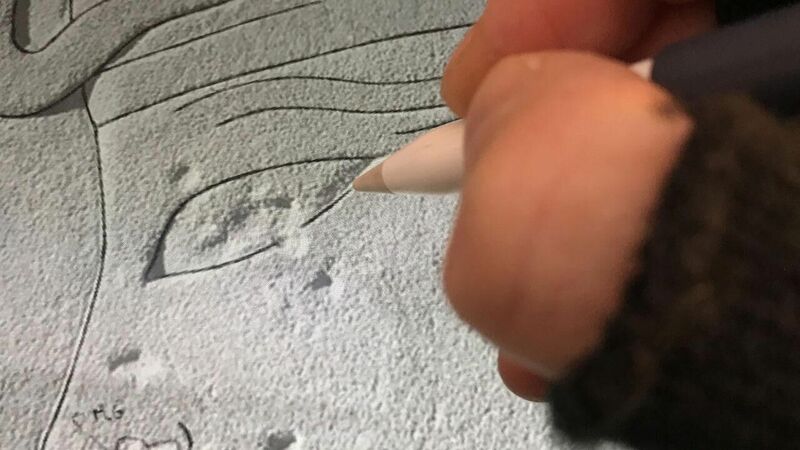 Finally, before closing this little roundup of styluses, we'd like to mention a rather unusual capacitive, touchscreen compatible device that mimics the look and behavior of a regular artist’s brush. 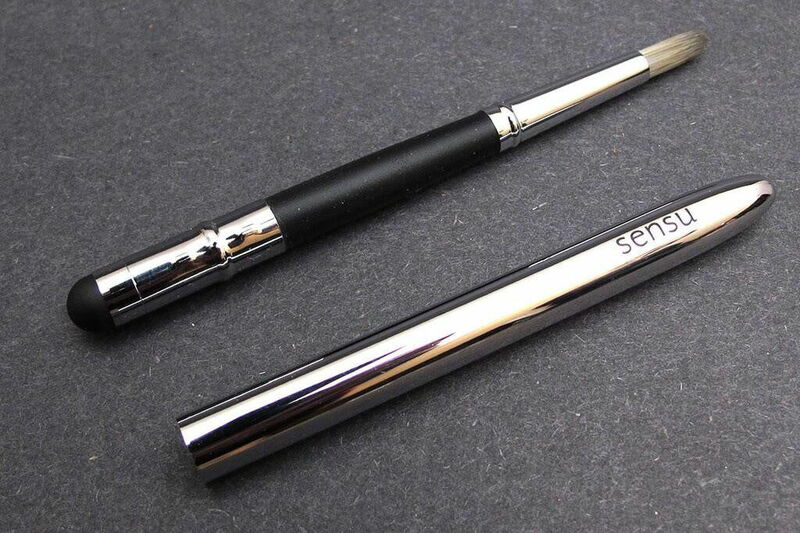 The Sensu is a simple and elegant stylus with a long cap/handle that conceals whichever of the two included capacitive tips you're not using. Closed, it's a short touch screen stylus with the standard black, rubberized tip. On the other hand, with the cap on, the Sensu grows double the size and gains a rubberized grip and a bristle paintbrush that works on any iPad screen. This digital paintbrush truly captures the tactile experience of painting, but instead of using paint and paper, you’re painting digital strokes on a touchscreen. The existence of such devices proves that, contrary to what you might expect, the market does not begin and stop with the Apple Pencil in 2019. 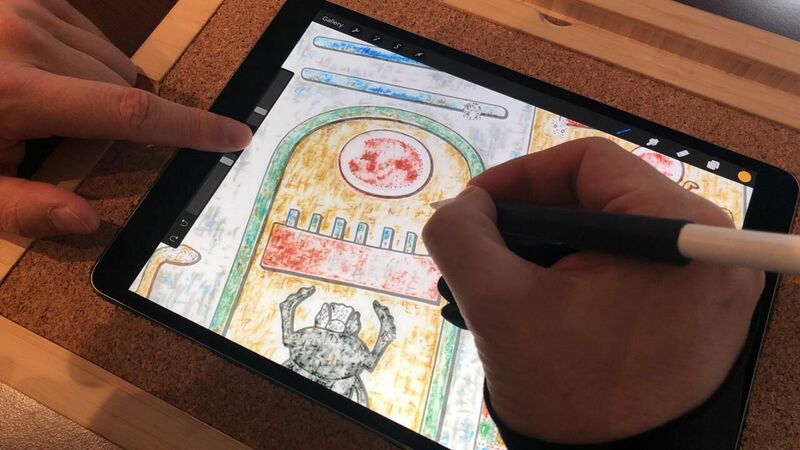 As we have said before, the Apple Pencil stays the king of the hill when money is no issue, however, digital artists with older iPads and smaller budgets have plenty of options, as long as they are aware of the trade-offs coming with their choices. Can Apple’s Sixth Generation (2018) iPad with Pencil support be “Pro enough” for half the price? im looking for replacement brush tips (not nibs) for my sensu. they don’t seem to be available anywhere. Sensu as a brand seems to be dead. Do you have leads for the purchase of replacement brush tips (the necessity of which you should have mentioned in review ? Maybe you could also mention the difficulty of obtaining them.